. Gated resort on the sea located at Sandcastles. A/C in the livingroom is rated for 900 square feet. The apartment is 508 sq. ft.
Internet signal in the livingroom. Guests will need to bring their own internet device. Small bar seats 4 for dining or entertaining. 2 TV's....one in livingroom and one in the bedroom. Overlooking the garden and the beach. Variety of water sports and equipment available on the beach. Guests are asked to smoke on the balcony. Housekeeping services provided 2 x weekly including dishwashing. Clean linens and towels.. 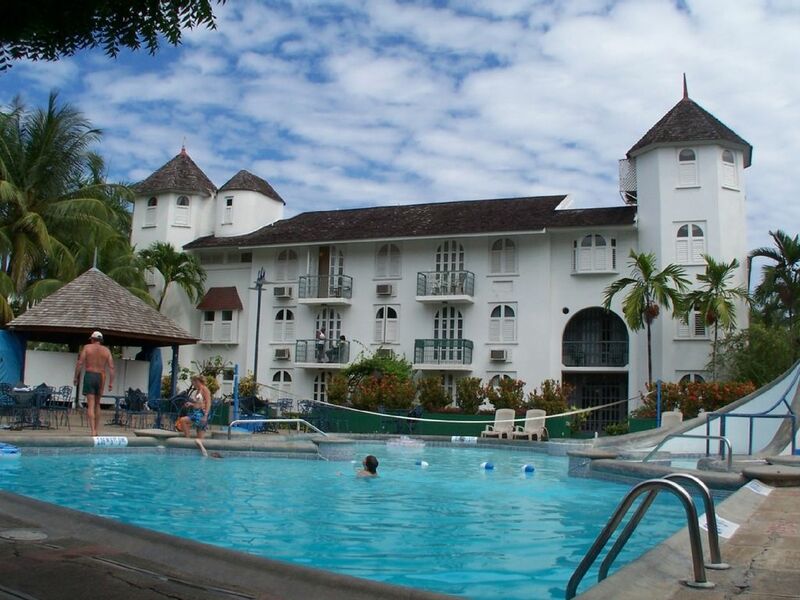 The condo is located in Sandcastles Resort in Ocho Rios, Jamaica. It is in the heart of Ocho Rios on Main Street. The only thing between the condo and the beach is a secure and gated walkway that takes you to the ocean in seconds.
. Eco Tours to the Rain Forest.